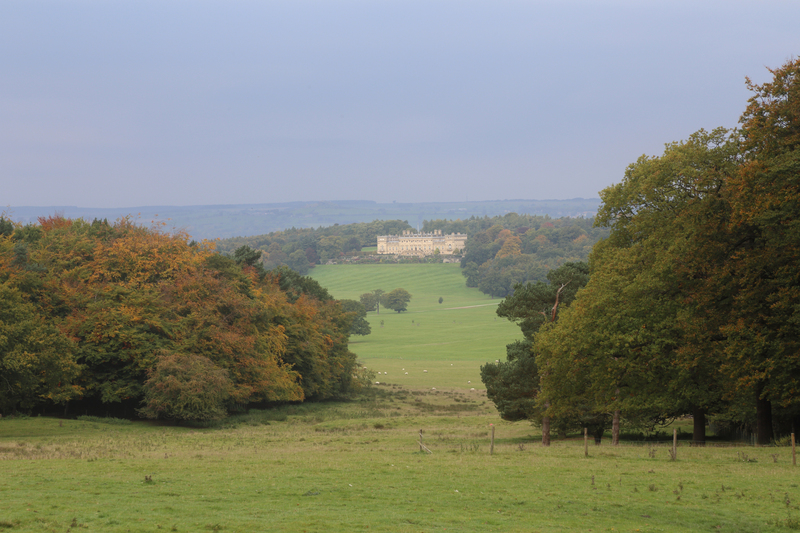 Two-channel film installation commissioned for the 2016 Harewood House Great Capabilities season, celebrating the 300th birthday of Lancelot ‘Capability’ Brown. 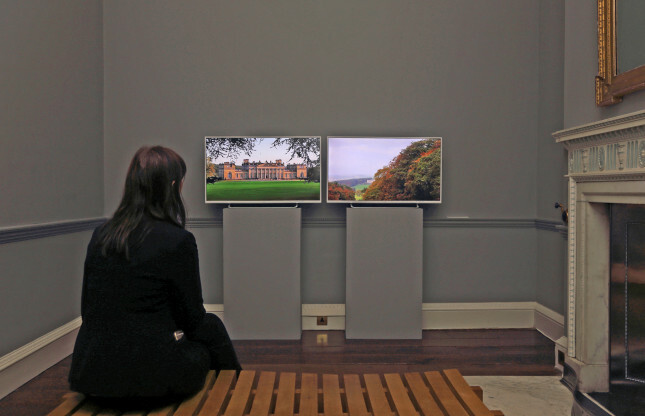 Shown in the one of the Watercolour Rooms on the State Floor, adjacent to historic studies of Harewood by Turner, Girtin and Roger Fenton, my synchronized films explore the contrasting north and south faces of the estate. To the South, I follow, on horseback, the original carriage route designed by Capability Brown for Edwin Lascelles from the entrance at Lofthouse Gate to Harewood House. Brown designed the route to show the mansion framed at various significant points, emphasising the formal, classical, public side of the estate. 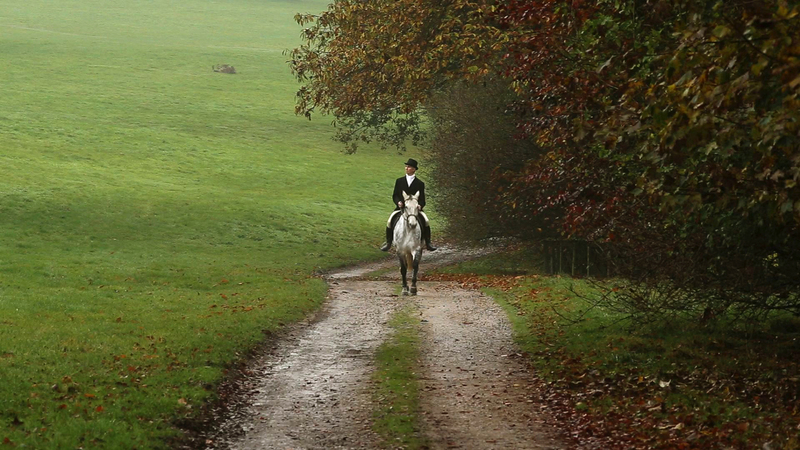 With only part of the route now publicly accessible, the film reconnects the high track from Lofthouse with the fish ponds, New Bridge and Rough Bridge, taking the viewer through lakeside woodland before emerging in front of the house. In contrast to this open, softly rolling, designed landscape, the North offers secluded walks, private grottos, temples and passageways in the Northern Pleasure Grounds, incorporating the shadowy medievalism of the Church and Castle. It was Edwin Lascelles’ wife, Lady Fleming, who championed the construction of these Pleasure Grounds and they stand as her answer to the aristocratic grandeur of the southern panorama commissioned by her husband.